Data-level parallelism is frequently ignored or underutilized. Achieved through vector/SIMD capabilities, it can provide substantial performance improvements on top of widely used techniques such as thread-level parallelism. However, manual vectorization is a tedious and costly process that needs to be repeated for each specific instruction set or register size. In addition, automatic compiler vectorization is susceptible to code complexity, and usually limited due to data and control dependencies. To address some of these issues, Arm recently released a new vector ISA, the scalable vector extension (SVE), which is vector-length agnostic (VLA). VLA enables the generation of binary files that run regardless of the physical vector register length. 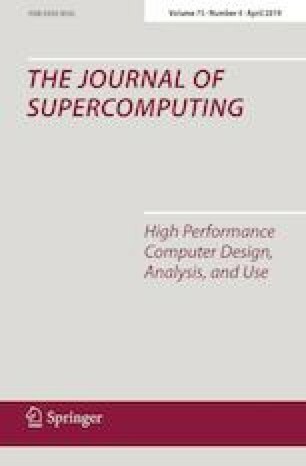 In this paper, we leverage the main characteristics of SVE to implement and optimize stencil computations, ubiquitous in scientific computing. We show that SVE enables easy deployment of textbook optimizations like loop unrolling, loop fusion, load trading or data reuse. Our detailed simulations using vector lengths ranging from 128 to 2048 bits show that these optimizations can lead to performance improvements over straightforward vectorized code of up to 1.57\(\times\). In addition, we show that certain optimizations can hurt performance due to reduced arithmetic intensity and instruction overheads, and provide insight useful for compiler optimizers. This work has been partially supported by the European HiPEAC Network of Excellence, by the Spanish Ministry of Economy and Competitiveness (contract TIN2015-65316-P), and by the Generalitat de Catalunya (contracts 2017-SGR-1328 and 2017-SGR-1414). The Mont-Blanc project receives funding from the EUs H2020 Framework Programme (H2020/2014-2020) under Grant Agreements Nos. 671697 and 779877. M. Moreto has been partially supported by the Spanish Ministry of Economy, Industry and Competitiveness under Ramon y Cajal fellowship Number RYC-2016-21104. M. Casas has been partially supported by the Spanish Ministry of Economy, Industry and Competitiveness under Ramon y Cajal fellowship number RYC-2017-23269. Finally, A. Armejach has been partially supported by the Spanish Ministry of Economy, Industry and Competitiveness under Juan de la Cierva postdoctoral fellowship Number FJCI-2015-24753.